Every place has a history but few make it to the forefront. 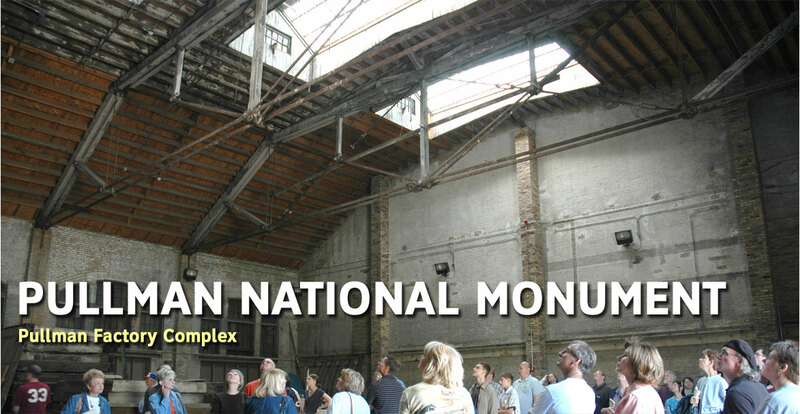 Started as the world’s first planned industrial town, only to find itself on the brink of demolition, Pullman National Monument has notched its place not only in the history books but in our hearts as well. In 1896, the community of Pullman was voted “World’s Most Perfect Town.” Shortly after the designation, laborers for the Pullman Company started a wildcat strike when George Pullman reduced wages by nearly 30 percent, while maintaining the rates for everything else in the company town. The strike eventually gained traction on a national level when the American Railway Union was founded by unskilled rail workers. The strike affected most rail lines in 27 states and involved close to 250,000 workers. The dispute eventually turned into the largest national unionized labor strike with effects we see in today’s society. Thanks to the brave men and women who took up the cause, six days after the strike ended, President Grover Cleveland and Congress passed legislation designating Labor Day a federal holiday. In the midst of the labor strike was the porters of the Pullman Rail Company. For the first time in history, these African-American men and women were held in the same regard as their white counterparts and compensated fairly by the unionization of the porters beginning in 1925, when the Brotherhood of Sleeping Car Porters was founded by A. Philip Randolph in New York City. With 44 percent of the Pullman workforce being porters, Pullman was the nation's largest employer of African-Americans, leading to the earliest known roots of the Civil Rights Movement. On February 19th, 2015, President Barack Obama signed an antiquities act designating the town of Pullman, a National Monument due to the community’s involvement in policy-shifting history. “I want future generations to know that while the Pullman porters helped push forward our rights to vote, and to work, and to live as equals, their legacy goes beyond even that. These men and women without rank, without wealth or title, became the bedrock of a new middle class. These men and women gave their children and grandchildren opportunities they never had,” said President Obama. While visiting Pullman National Monument, we encourage you to stop in at the Pullman Historic Foundation Visitors Center to find out how it bounced back on the track of prosperity. 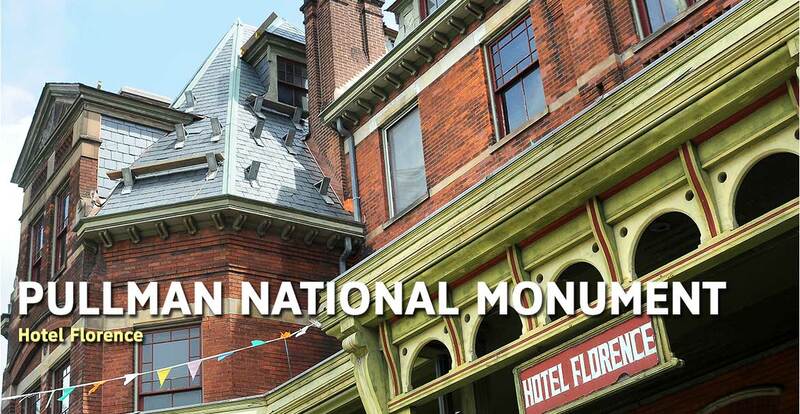 Walk down Champlain Avenue, thru the maroon row houses on your way to Hotel Florence. 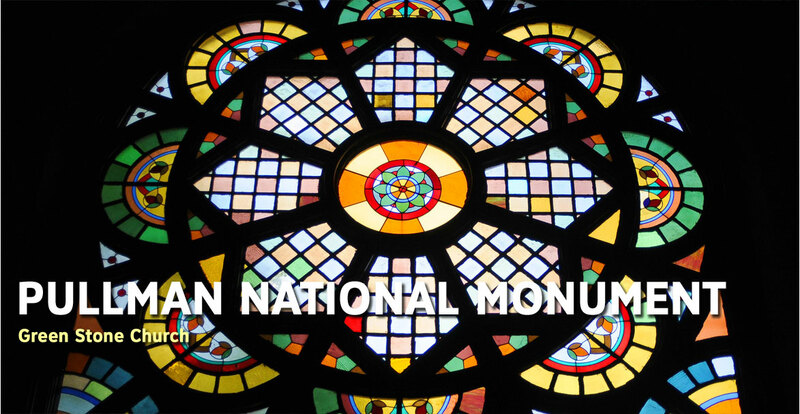 Stop and marvel at the Pullman Factory Complex or admire the local sculptures by the Green Stone Church. Discover the faces and places that tell the experience of Pullman and enjoy Illinois’ newest national treasure in the backyard of the Chicago Southland.